Aik Pal_ Episode 8: The rich taker and the poor giver! The situations cliched and the characters seen before, yet Aik Pal is interesting. When you have a contrast between four characters, the story itself becomes interesting and you don’t have to try too hard to like it. You get engrossed in their lives and there is little margin for boredom. But, there is something that can ruin a perfectly written story. Dragging_wasting more than one scene on one development in the story. The episode was no doubt dragged. We had Noor Fatima discussing about her interview with her mother, in three separate scenes. 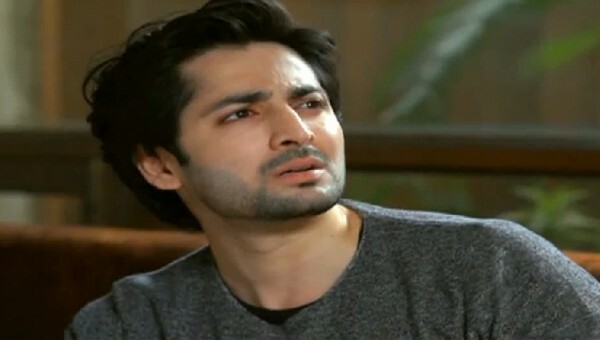 Then we saw Shaazi getting ready for the Malik Sahab and getting scolded from her mother in two scenes repeatedly. Imran dropped in with the locket he had promised Shaazi and wasted two to three scenes while planning for it and buying it. Bareera’s MIL’s constant ranting and Omair’s laziness were all repetitive. Dragging makes a good story lose its charm. Bareera had it coming. I don’t feel sorry for her because she has thrown herself into this mess. Her dad, her sister, everyone warned her, but she was head over heels in love with Omair and refused to listen to anybody. Omair’s love was not long lasting, he initially did side with Bareera but his real intentions were to get her father’s business and that is pretty evident now. Bareera’s visit to her father was the best part of the episode. His concern for her was touching. I really feel for him, especially if he has to give up his business for Omair. Rani has fallen for Mus’haf, like she has fallen for every other guy in the village and it isn’t a good sign for Mus’haf’s future. How will the Chauhdry react when he knows about this? Still it was good to see Mus’haf doing what he loves. He is the poor giver. Someone who is willing to sacrifice everything for the sake of spreading education in his village. He was warned about the Chauhdry by a fellow teacher at school. Woh (chauhdry) samajh raha thha ke tum kuch dinon mein bhaag jao ge…. Mushaf’s friend Mukarram’s character is very much likeable. His news are the main source of info for the seedhe saadhe Mus’haf. I liked his conversation with Mushaf about why he doesn’t want to go to school. I am anxiously waiting for Noor Fatima and Mushaf’s meeting and would really dread her and Imran’s marriage. He is in love with Shaazi and he should really leave Noor Fatima alone, but then again, the way Noor Fatima agreed to marry him was plain stupid. The phrase apne paun par kulhari marna is suitable for her. I have a feeling that the malik sahab will punish Imran for insulting him.